In the distant future, nuclear war and disease has ravaged the planet once called Earth and all that is left alive of the damaged and often horribly mutated human race live on a singular continent called Muck, where they worship Sokrates - a dictator whose rule has enslaved many and is using up all that is left of the lands resources on hideous weapons, physically altered beasts and super-soldiers. 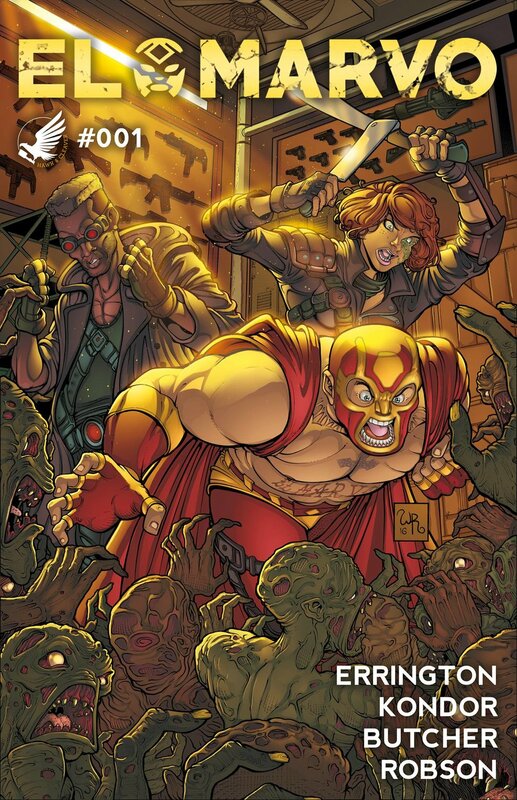 Luchador wrestler vigilante El Marvo awakes from a self-imposed cryo-sleep with a fractured memory and a missing limb, hell-bent on piecing together his past and taking on the evil oppressors of Muck with the help of a pair of teenage heroes – Go Get ‘Em Girl and Knuckle Duster. Sign up to be notified about all of H&C's comic book endeavours and grab the first five pages of El Marvo #1. Thank you! Download the preview pages HERE.